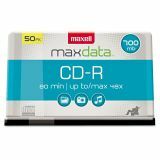 Maxell CD-R Discs, 700MB/80min, 48x, Spindle, Silver, 50/Pack - CD-R records permanently onto its branded surface so you have a reliable backup. It is ideal for music recording, storing digital photos and data archiving. Play back in virtually any CD recorder, burner/player, DVD player, computer drive or game console. 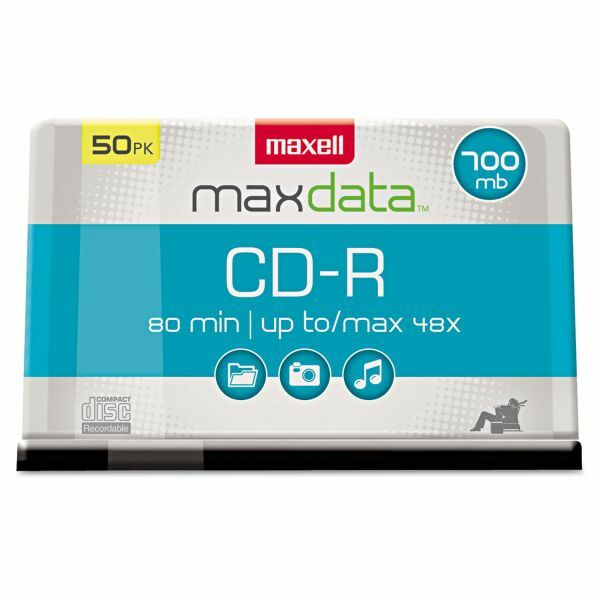 CD-R discs offer a 700MB/80-minute capacity and support write speeds up to 48X.